TRENTON, N.J. (AP) — In a story Dec. 6 about a new alternative to EpiPen, The Associated Press reported erroneously that emergency allergy injector Auvi-Q was among products that had shortages because of an EpiPen shortage. Auvi-Q did not have shortages. 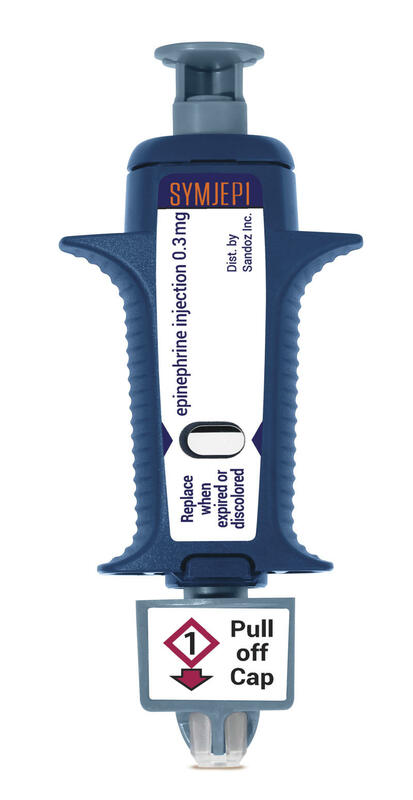 TRENTON, N.J. (AP) — Generic drugmaker Sandoz announced plans Thursday to start selling an alternative to the EpiPen in the U.S. early next year. The shortages triggered temporary shortages of alternative products. As a result, U.S. regulators let some manufacturers extend expiration dates. Sandoz, part of Novartis AG, will sell syringes with an adult dose made by Adamis Pharmaceuticals Corp. A children's version will follow.